Greek filmmaker and MA Filmmaking graduate Jacqueline Lentzou’s short film FOX has been awarded the prestigious ‘Award in Memory of Ingmar Bergman’ at the Uppsala International Short Film Festival in Sweden, following an incredible run of over 40 festivals and 20 awards. The festival announced, "The Uppsala Award in Memory of Ingmar Bergman goes to a young and extraordinarily talented filmmaker with a distinct signature, a clear vision and sense of complexity who is inspired by emotions and dreams that shape her existential stories about interpersonal relationships, particularly within dysfunctional families. She is an acute observer, often using a hand-held camera to capture fine details in faces and gestures of her actors, and expertly juxtaposing close-ups with unusual angles in medium and wide shots to reveal deeply complex psychological states. The Greek filmmaker Jacqueline Lentzou and her film FOX is a truly worthy recipient of the Uppsala Award in Memory of Ingmar Bergman." 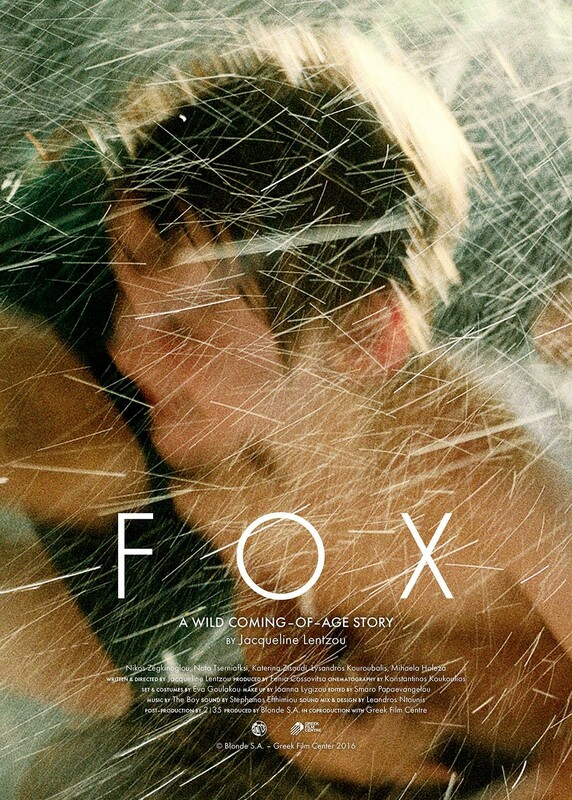 FOX – ‘a wild coming-of-age story’ - tells the story of Stephanos, a young boy who is left by his mother to look after his younger brother and sister, along with their sick dog, during a heatwave. Stephanos has no idea, until he picks up the phone that has gone unanswered all day, that this will be the last carefree day of his life. FOX premiered at the 69th Locarno International Film Festival, where it won the Best International Short Film Award. It has, to date, travelled to around 40 film festivals and won 20 awards, including Best European Short Film Award at the Festival International de Films de Femmes (Créteil International Women’s Film Festival), Best Short Film by the Panhellenic Critics' Association, the Tonia Marketaki Award at the Drama Short Film Festival, and Best Actor at the Pancevo and Athens International Film Festivals. Jacqueline Lentzou was born in 1989 in Athens, Greece. She graduated with distinction from London Film School in 2013 with her film Thirteen Blue, which screened at festivals from Atlanta to Edinburgh as well as winning the Golden Egg Award at the Reykjavik International Film Festival and the First Award at the Oscar-qualifying Athens Film & Video Festival. She is a 2014 Sarajevo and 2015 Berlinale Talents Alumna., and took part in the Berlinale Short Film Station with FOX. In 2017, she world premiered in Berlinale, with HIWA, a dark poem about Athens’ cityscape. Her debut feature, SELENE66, is selected in Torino Film Lab’s Script and Pitch workshop. Founded in 1982, Uppsala International Short Film Festival has become Sweden’s premier arena for short film. Every year the festival shows more than 300 short films in five different sections exploring the diversity and richness of the short film – from new film to retrospective programmes, from fiction film, documentaries and experimental film to animations. Uppsala International Short Film Festival is recognised by Academy of Motion Picture Arts and Sciences, which means that winning the international or national competition at the festival makes a film eligible for nomination for an Oscar. Screening at the festival also qualifies Swedish short films for Guldbagge nominations and British short films for BAFTA nominations. Taking place in the university town of Uppsala at four cinemas located in the city’s classic cinema district, the Uppsala International Short Film Festival is a meeting place for audience, industry and media. The festival offers film makers many opportunities to meet their audience, and discussions are held both at the screenings and at special director´s talks.